A pillow is a relaxing accessory; be it in the living room or the bedroom. Getting a personalised pillow makes resting more comfortable. For people who like unique things for unique purposes, they will consider getting a pillow with a personal touch to make the experience more special. Living rooms are personalised to turn a house into a home while the bedroom is designed to bring comfort. 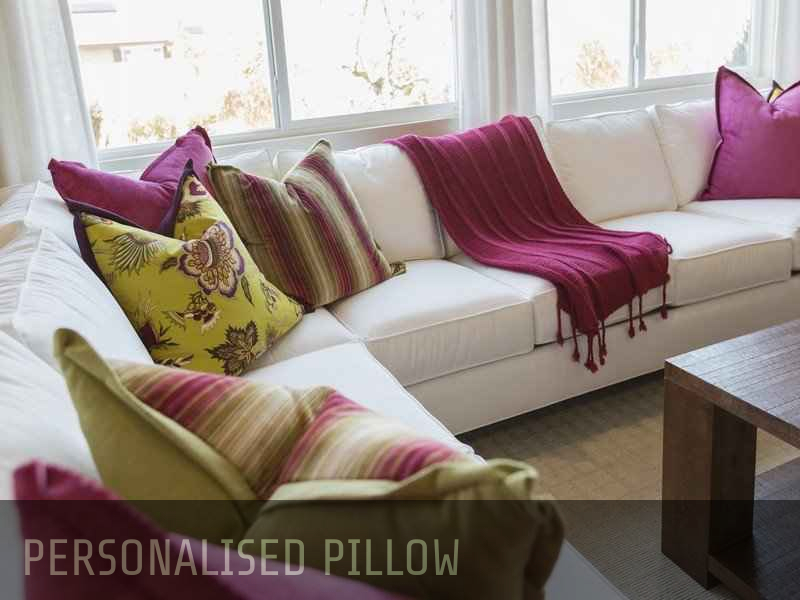 Theme : a personalised pillow should go with the idea of other accessories in the house. Quality themes have at most two colours, one bright and another slightly dull. The Pillow should be a bright colour to illuminate the room. Both analogies apply to both the bedroom and sitting room. Brightness : Bright coloured pillows appear more presentable than dull cushions. Brightest is associated with warmness, which is a significant factor in relaxation. Preference : most people have a preferred colour. Getting a personalised pillow with the person’s favourite colour is not only considerate but also has intrinsic value. Different occasions have different connotations. If one has to get a personalised pillow for a wedding or birthday, the writings should fit into the event’s theme accompanied by the recipient’s favourite colour. The type of material used to make the pillow dictates the writings and the colour of the pillow. Leather pillows go well in either brown or cream colour. A pillow can come in different shapes. Big square or rectangle pillows are meant for the living room while rectangle or round pillows fit the bedroom. These designs give ample surface for engraving the messages on the pad..